Version “Look Into My Eye” Released! Added a new level: E1L7! This completes the Fusion Plant. 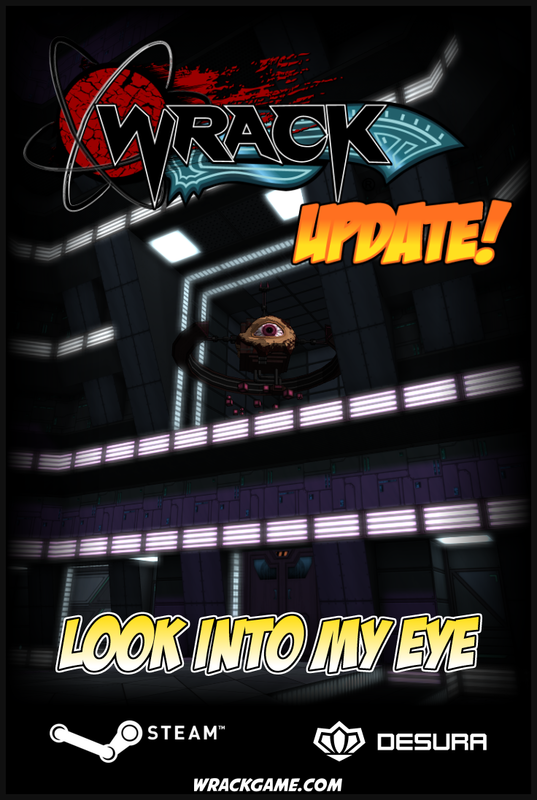 Added a new boss: Oculus! He is the boss for E1L7 (and slightly incomplete). Added new oil decals that spawn when robotic gibs strike surfaces. Added a new Hyperblade decal that appears when you slash surfaces. Added new music that plays during the Giggordo cutscene on E1L6′. Added the Oculus concept sketch to the gallery. Increased the damage output on Zombo, Gnash, and Giggordo. Giggordo’s spike balls now properly rotate. Fixed a bug that resulted in infinite loops when restoring a quicksave in certain situations. Fixed an issue with kerning and colored text. Fixed a bug that allowed you to “gib” the crate traps and get a 50 point bonus.